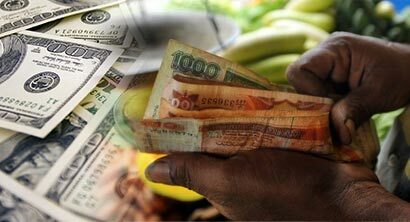 The Sri Lankan rupee ended slightly weaker on Monday in dull trade as banks and importers bought dollars, dealers said. The spot rupee, which traded at 153.80 per dollar during the day, ended at 153.75/85 per dollar, compared with Friday’s close of 153.65/75. The rupee gained 0.2 percent last week. “Today, there was some demand from foreign banks during the latter part. But the demand was not that big,” said a currency dealer. Dealers expect a 2-3 percent depreciation in the rupee and higher volatility this year on account of debt repayment by the government. Sri Lanka mopped up 80 billion rupees ($520.66 million) on Monday via treasury bonds after raising $470.6 million on Jan.18 via development bonds, the central bank said. President Maithripala Sirisena’s administration must repay an estimated 1.97 trillion rupees ($12.85 billion) in 2018 – a record high – including $2.9 billion of foreign loans, and a total of $5.36 billion in interest. Foreign investors bought 3.9 billion rupees worth of government securities this year up to Jan. 24, central bank data showed.